I have wanted to do this project for such a long, long time! 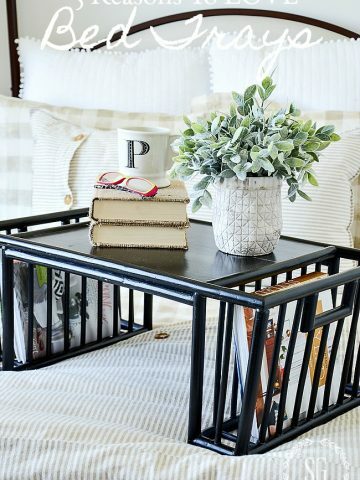 A lucite tray is a thing of beauty in any home, especially if it is a monogrammed lucite tray. 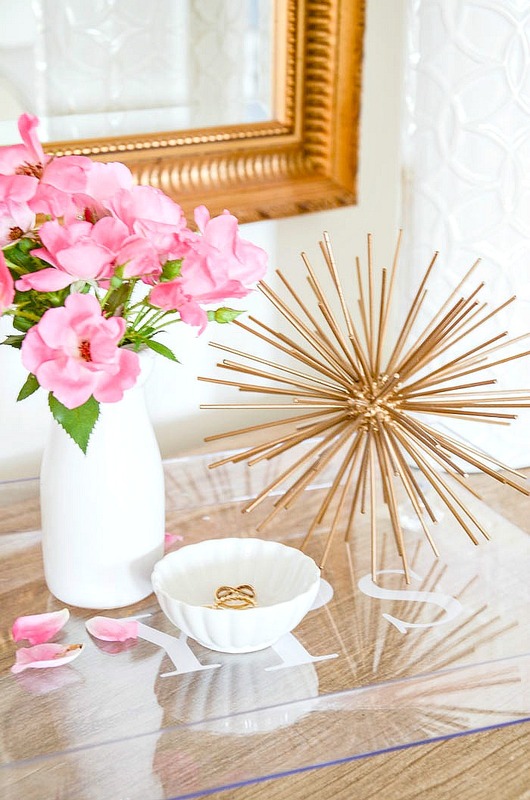 Today I’m thrilled to share a project that is so super easy and will add tons and tons of decor style you any room it is in. And did I mention it is insanely easy? 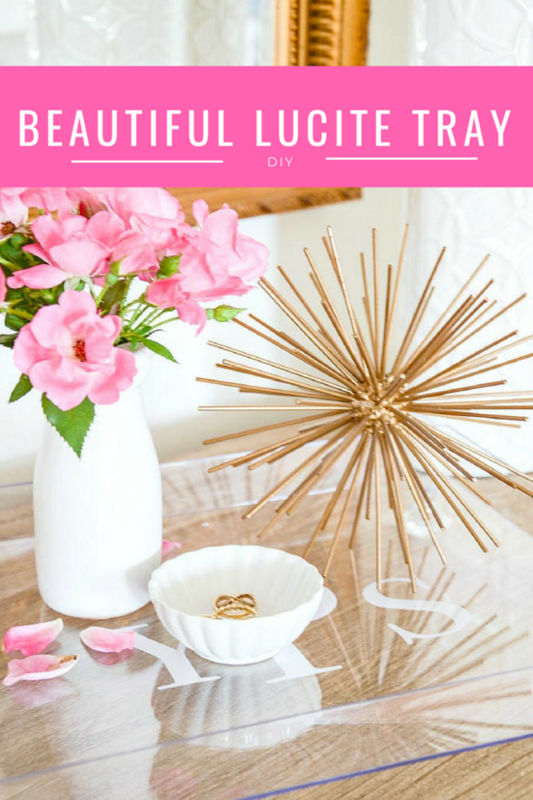 Let’s make a beautiful lucite tray! 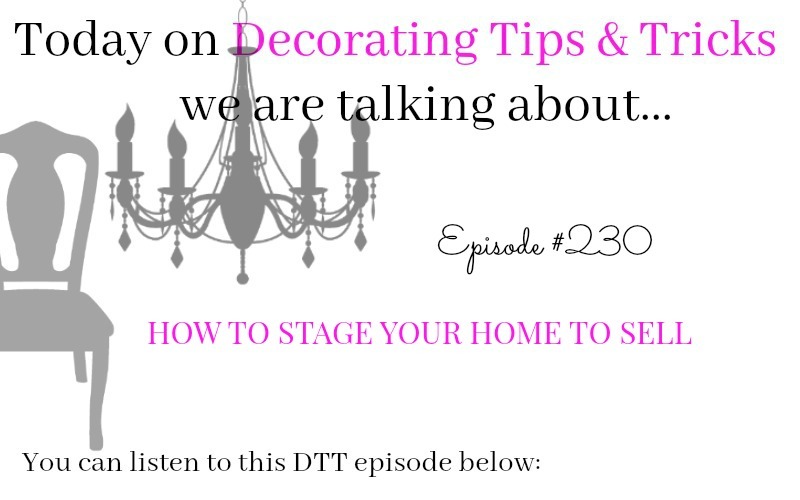 Even if you have no future plans to sell your home you should listen to today’s DTT. Great info for any home! Now let’s make this gorgeous lucite tray! Measure the size of the front of the lucite box frame. Find the center point and mark it with a non-permanent marker on the inside of the box frame. You will want to clean this off later. Decide how large you want the monogram letters to be on your tray. I used a Cricut cutting machine to create the monogram letters for this tray. 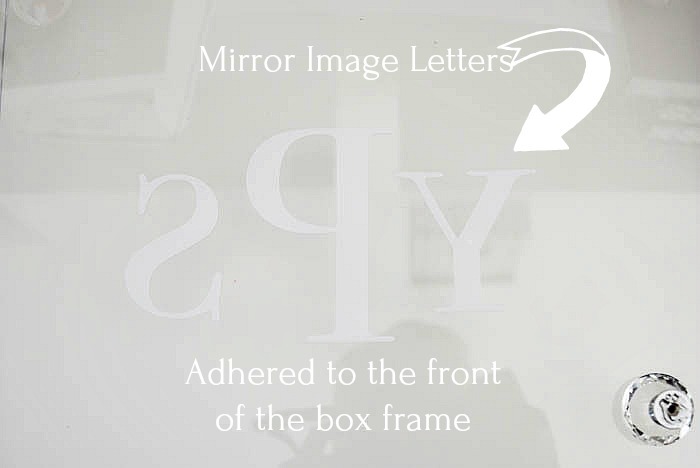 But it is so easy to print off MIRROR IMAGE letters from your computer in a font you like and trace the letters onto the paper side (adhesive side) of the white vinyl and cut them out. I used a piece of graph paper taped to the inside of the box frame to help keep the letters centered and straight. You can use any ruled paper too! It is not necessary but I’m not the best judge of straight letters. 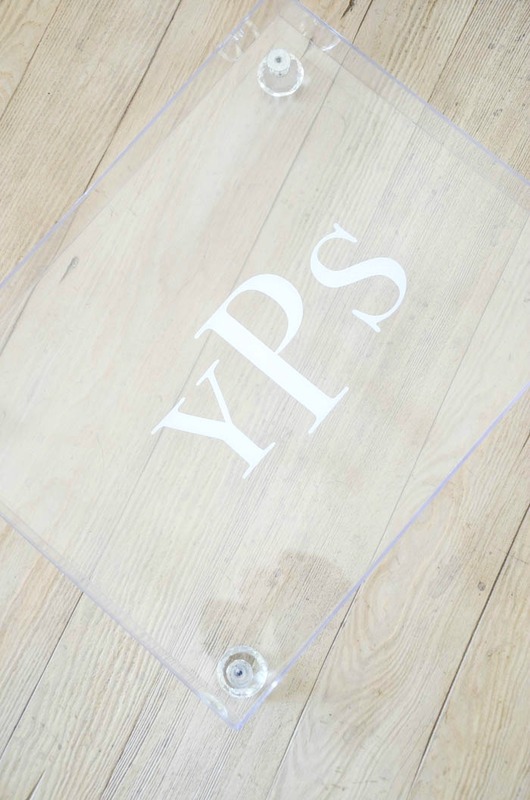 Using the center point of the tray as a guide, peel off the adhesive of the middle letter and center it on the tray. Do the same with the first letter and the final letter centering them with the middle letter already adhered to the tray. If you make a placement mistake, and I did, it is easy to remove the letter and try again. Clean off the mark made on the inside center of the frame. Now, it’s time to add the feet to the tray. 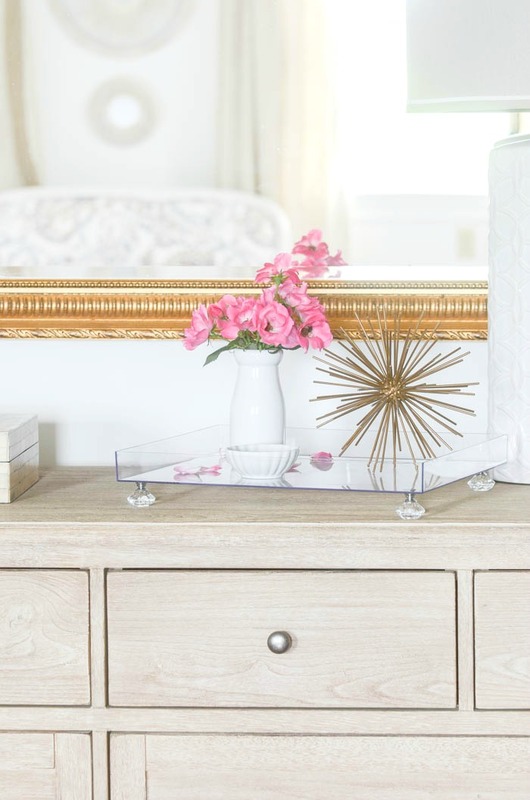 I chose pretty crystal drawer pulls to add a little bit of bling to my lucite tray and to keep the whole tray very light and airy looking. Following the directions of the Gorilla Glue Clear Grip Glue, put a drop of glue on the spot the tray door pull foot will be added and a dot of glue on the drawer pull itself. Wait 2 minutes to maximize bond and press the door pull into the Gorilla Glue Clear Grip Glue on the tray. Do this for the remaining 3 feet. Let the glue cure according to the directions (24 hours). The Clear Grip makes a crystal clear and permanent bond just perfect for this project! 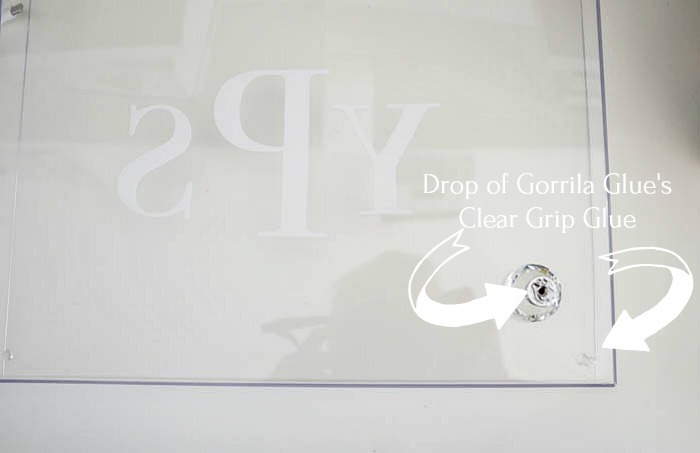 And here’s a great storage tip… Make sure to clean the tip of the Clear Grip nozzle of with a dry cloth and put a thin coat of petroleum jelly around the threads of the nozzle before putting the lid on it. Who knew? Easy peasy, right? 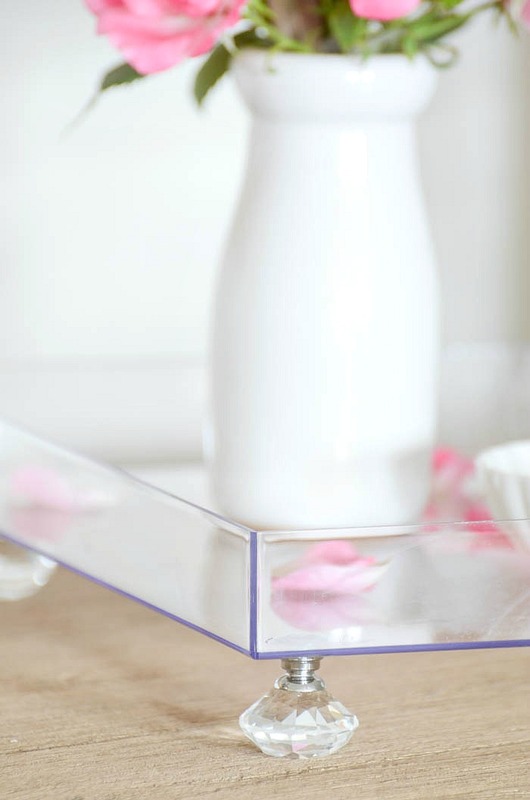 A really pretty lucite tray! And monogrammed too! 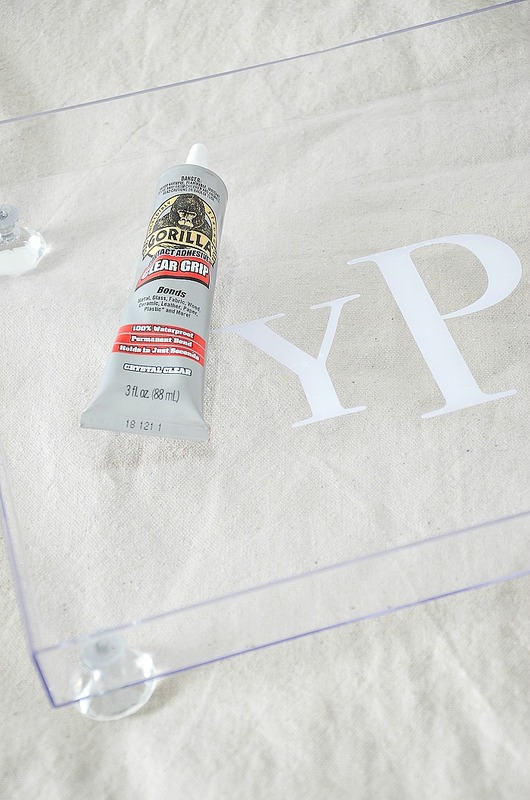 I’m using my lucite tray on my master bedroom dresser! 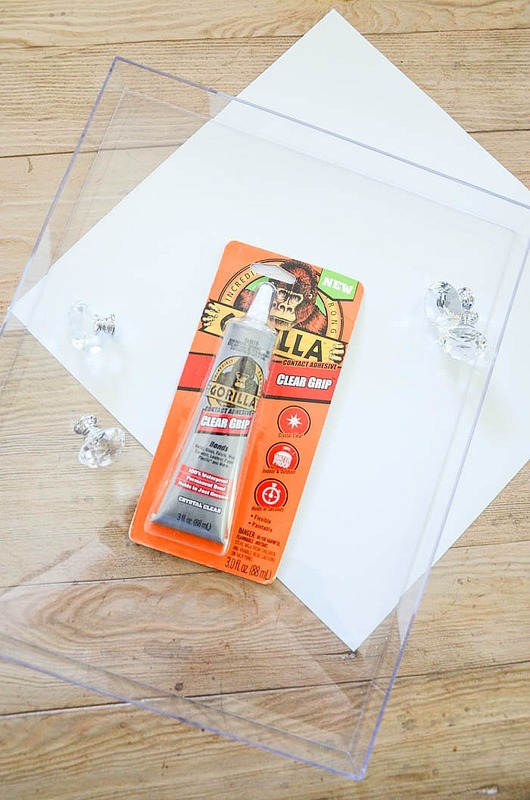 Thank you to the kind people at Gorilla Glue for sponsoring this post! So pretty and smart! Love it! Beautiful! Did you put he letters on the front of the tray? No underneath so the tray top is smooth. Super easy! 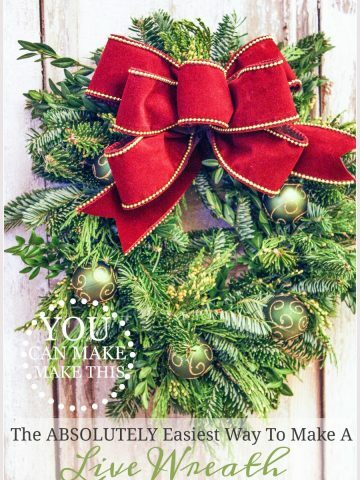 Yvonne, I love this project: it’s quick, easy, and spectacular looking. I love monograms (if it doesn’t move!) and that I can use my Cricut. Thanks for sharing. 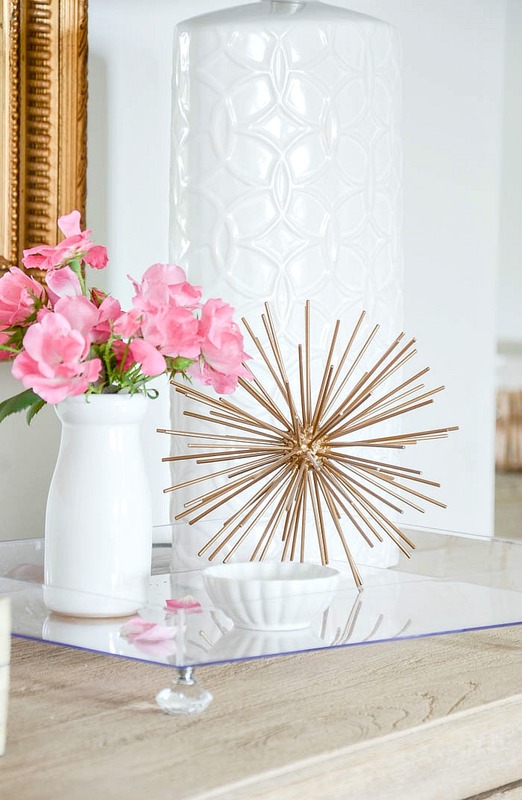 Yvonne, your lucite tray is just beautiful, and the vignette you created for it is perfect! Thanks for the instructions. These would also make wonderful housewarming gifts. Enjoy your day!!! Thanks Shannon! I’m thinking of making a few for friend’s birthday gifts. I LOVE this! I’m putting it on my list of must makes ? What a great idea, Yvonne! So glad you shared the idea you mentioned at Haven. I soooo enjoyed meeting you and look forward to many more beautiful ideas! Very pretty and looks fairly easy. Thanks for the great idea. Thanks Jane! It is easy! Yvonne,you are so creative, came out beautiful. Yvonne, this would be a great, yet affordable Christmas gift! Thank – you so much for sharing. I can’t wait to try and I’ll let you know how it turns out.. ? Hi Denise! 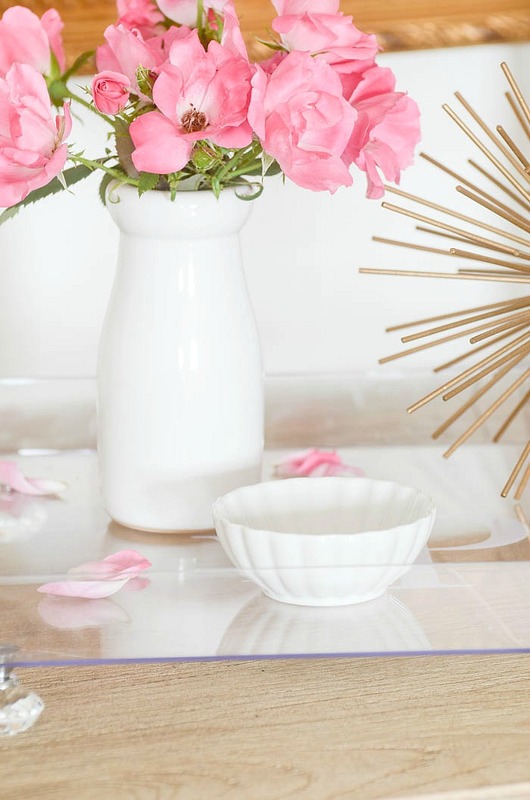 Yes, I would love to get this lucite tray as a gift! 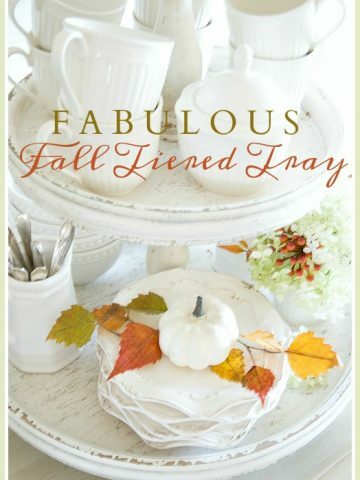 I love this tray!!! 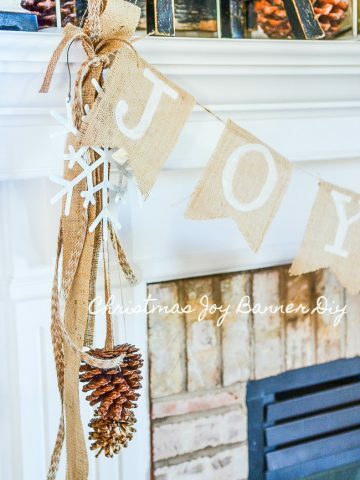 What a great idea for your home or for a great gift! Thanks so much for sharing! 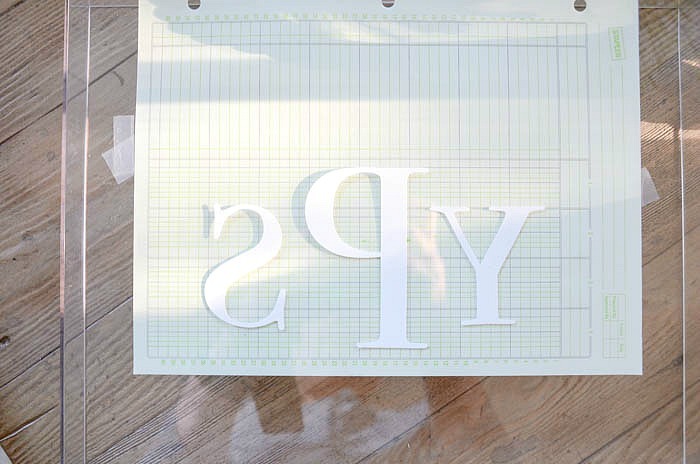 Love lucite, love monograms, love this project and LOVE the sneak peek of your master bedroom!!! When is the BIG reveal??? You are teasing us with bits and pieces of your pretty room! I’m still waiting for a couple of things to tie it all together. Soon!